It’s a common myth that OFWs feel better when investing or making big purchases since they are generally paid better abroad than when they work in the Philippines. Filipinos working abroad have all realized that it’s not easy to find even when they are offered bigger paychecks. 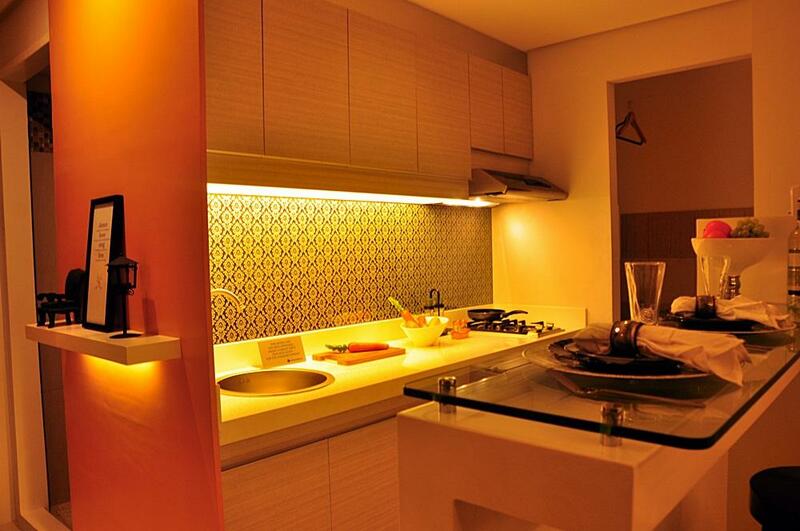 Owning a new home or improving their current homes are among the top listed wishlists for OFWs. There are plenty out there in the market, with a variety of factors such as size, price, features and locations. But what matters and on top priority among OFWs? While many have families and children and housing them in a decent dwelling place is a source of pride, there are also Filipino migrant workers who are single and whose priorities are slightly different — save now and secure their future. This brings the argument about finding the right investment vehicle or type of property single OFW would like to part their earnings with. Single OFWs still send money to families for daily expenses such as food and utilities, education of siblings or extended family members, medical expenses and savings or investments. But when it comes to acquiring properties, many of them are unwilling or unable to shell out big amount of money to buy a house in the Philippines they won’t enjoy unless they are still employed abroad. Then comes the idea of pre-selling properties frequently advertised as cheaper, better alternative avenue for single OFWs to carve their way into owning properties in the Philippines. Why so? Let’s find out the five reasons why pre-selling properties — be it condo unit or subdivision housing — and unmarried OFWs appear to be meant for each other. Because of their current state, pre-selling units are more affordable compared to advertised homes that are ready for occupancy. OFWs sure get bigger monthly salaries but they don’t expect to spend them all in a single property acquisition; they also have other living expenses to cover. With prices between 30% to 50% cheaper than finished housing units, pre-selling units are certainly more affordable to buy, with some cash to spare for an OFW’s living expenses abroad and remittance money for the parents in the Philippines. It seems out of line when OFWs purchase homes in the Philippines while they don’t get to live in them as they’re still working and living abroad. That’s an accurate assessment if the unmarried Filipino migrant worker is based indefinitely abroad, find a spouse and raise family there. But many OFWs have finite years abroad, then decide to go home and settle down. It makes sense to get a house on the cheap, pay in smaller installments and return to the Philippines once the house is ready for occupancy. That sounds like a better idea than buying a more expensive ready-for-occupancy unit that nobody lives. If it’s meant for investment like rental home or AirBnB, yes, you’ll earn money to pay for installment balance, but its condition deteriorates by the time you arrive and supposed to enjoy this fruit of your labor. In many cases, pre-selling homes are built on places that’s less suitable for living: far from markets, lack of smooth pavements and less accessible by public transport. So it doesn’t make sense for owners to dive in and purchase finished homes outright only to find out it’s not convenient to settle there. As pre-selling properties are continuously built, the surrounding community starts to develop. More street lights installed, drainage system in place, more transport options as the population in the neighborhood increases, and so on. While you as an OFW may not notice such development in the community, you’ll soon find it out when you return, hopefully settling everything and formally claiming ownership of a residential property whose value increases as its location becomes more conducive to community living. On another side of practicality in item #2, OFWs who shell out minimal amount of cash as downpayment for a pre-selling property will have extra resources to refurbish it and turn into an income generating property if they decide renting it out is an option (it has to be attractive enough — close to schools, factories and downtown — to make that happen). The payment can be used to pay the mortgage, saving the OFW from shelling out monthly payments and keeping his or her income savings intact. Such savings can then be used to renovate the house once he or she decides to go home for good, after the pre-selling property is already paid up. Buyers of pre-selling units often have fair chances to choose their desired location, whether in a condo block or a townhouse development. This gives the element of excitement as the ones who get to make an early commitment have plenty of options available for them — top floor, better views, and so on. Filipinos working abroad feel a sense of security that one day, when their days as OFWs are finally over, they have something to look forward to. Whether that’s a growing poultry business, seeing your children go to school or moving to your newly-paid residential unit you started paying 10 years ago. There’s a sense of inspiration as you look at your desired goals. Such feeling of anticipation making a countdown to that day is similar when you commit to that pre-selling property and gradually investing your way to a homeowner. That’s certainly more future-focused than aimlessly spending on any random item, only to find out you have nothing to show after years of working abroad. While these are enticing prospects for single OFWs to get hold of pre-selling units, utmost diligence and research must be done before parting with hard-earned cash. This is especially applicable for Filipinos who are based abroad and have limited amount of time to inspect the location and limited amount of engagement with developers, agents and advertisers who might turn out as fraudsters and fly-by-night operators. OFWs are now more intelligent and know where they should put their money in, thanks in part to technology and equally informed family who can help them make informed decisions.